Our high grade 3-strand dock lines are made out of nylon. 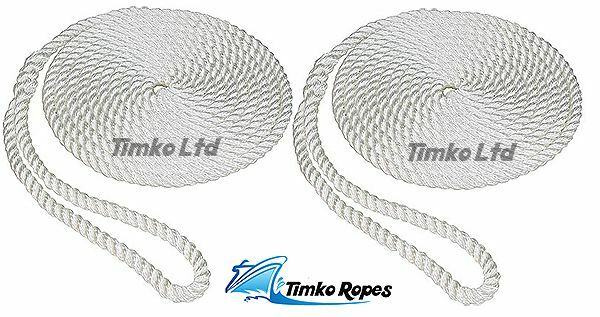 Nylon has excellent shock absorption properties making the rope ideal for dock lines. We stock them in the following diameters 10mm, 12mm, 14mm & 16mm in various lengths with a large soft eye hand spliced at one end approx 10" in length.